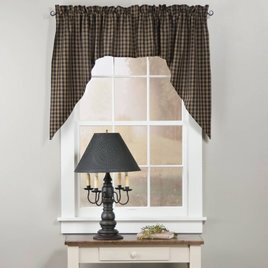 Here's the finishing touch for your country home, the Sturbridge Black Swag. 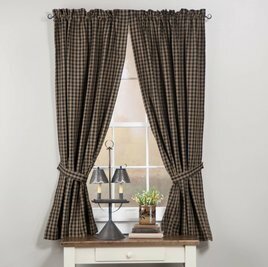 The swag valance cascades down each side of your window to a 36" length. Made of 100% cotton, unlined. 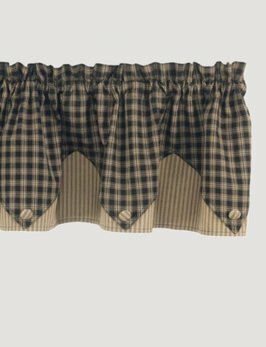 You'll love this beautiful curtain and how it completes your room. Sturbridge Black Lined Panel 63"
The Sturbridge Black Lined Panel finishes off any country window. Measures 72-Inches wide x 63-Inches long and is made of 100% cotton. A perfect look for your farmhouse style.